Thoughts of warmer temperatures, blue skies and pecan pie filled my head as I left last Tuesday afternoon bound for Atlanta, Georgia. I arose the next morning, put on my down coat, hat and mittens and thought, “It will warm up.” Well everything is relative. Compared to the subzero temperatures I left behind in upstate New York, the brisk 25oF felt pretty good. My host and hostess from the Mushroom Club of Georgia, took me to a green belt along the Chattahoochee River. My mission was to find fungi growing on southern tree species. Within the first 30 minutes we had the two species I came for. I grew more delighted as the 3 of us spotted others, including two conks from the southeast this northerner did not know before. One, Phlebia incarnata, is a real gem. The rosy pink suede topside stood out like a beacon on the dark log. Flipped over, its spore-bearing surface was a creamy puckered crescent - quite unique to the genera Phlebia and Merulius. 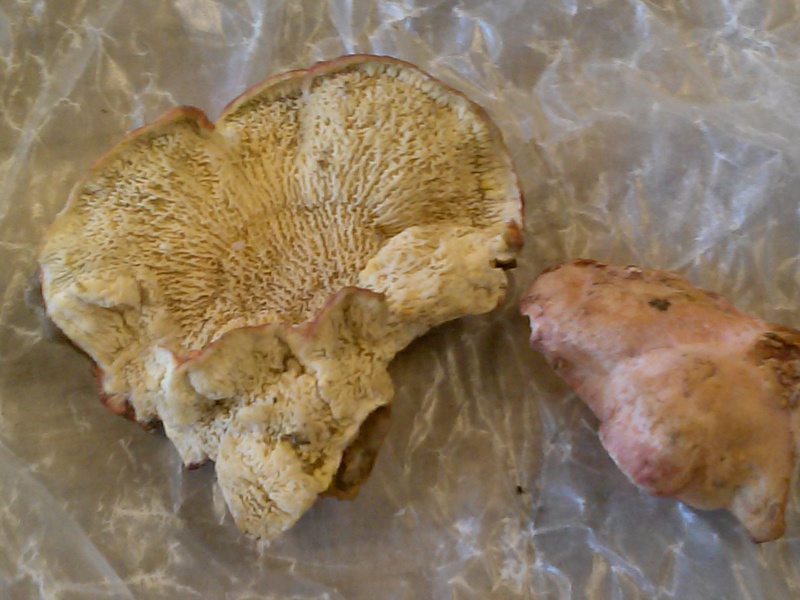 There are neither pores, nor gills, but wrinkles similar to the underside of a chanterelle. Along the way we spotted a flock of Cedar waxwings, a Brown Thrasher, a Veery and were warned by the cry of a Cooper’s hawk perched overhead adjacent to the wetland. The mobbing caws of a half dozen crows led us to the hawk’s mate in a tree a few yards away. We watched as they flew off together, a sign that mating season is underway. Content with our morning’s haul and the sunshine that had broken through morning clouds, we returned to the house for a quick lunch of delicious mushroom pate on toast. The next two stops were in downtown Atlanta for Ecovative business visits. 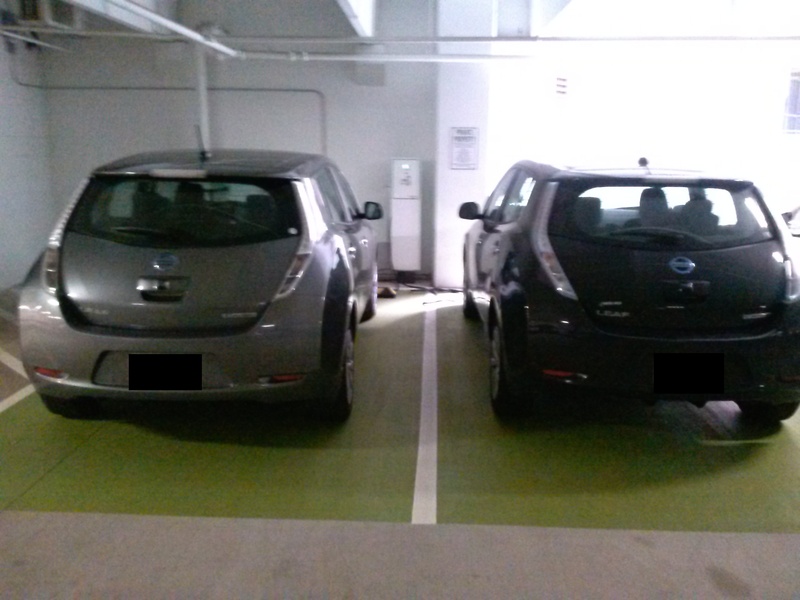 The coolest thing I learned about Georgia is that the state subsidizes, to the tune of 5 grand, the purchase of an electric Nissan Leaf, and there are free charging stations in most of the parking lots and garages. Guess what the most frequent car was on the congested highways of Atlanta? I saw more Leafs than anything else. I ended the day just outside Atlanta with the Mushroom Club of Georgia at their first monthly meeting of 2015. The gathering of 80 folks from places as far as Athens, GA was very receptive to the creative use of mushrooms for Ecovative’s packaging and engineered wood product lines. I was able to make lots of connections with people working in the fields of product safety, extended product responsibility legislation, sustainable Georgia, indirect sales, and economic development for the state. I just love being among my peeps.